The largest expansion ever for Fantasyland in the Magic Kingdom Theme Park at the Walt Disney World Resort is taking shape with the first phase now open. 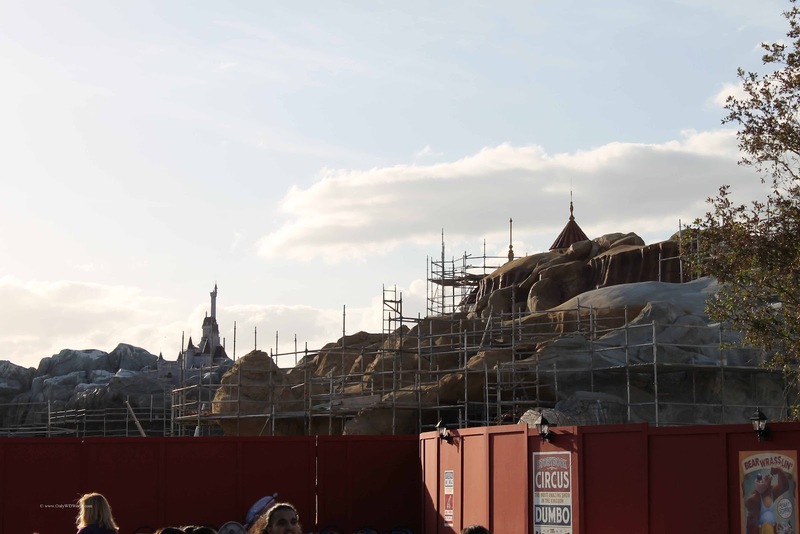 As you will see in the pictures posted in this article, great progress can also be seen on the remainder of the project. 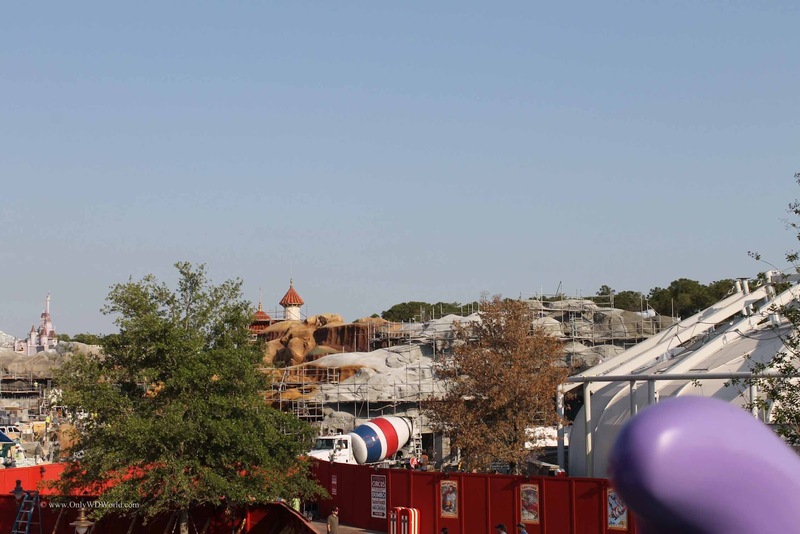 The first phase of the Fantasyland Expansion to open is part of the new Storybook Circus area. Magic Kingdom fans will notice that this is located in the area previously occupied by Mickey's Toontown Fair. 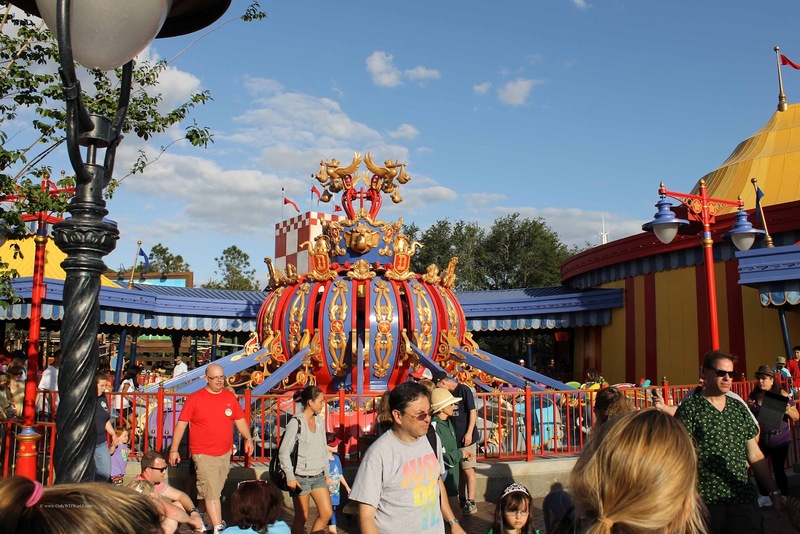 Guests can enjoy part of the new Dumbo attraction, although the entire double Dumbo is not complete. 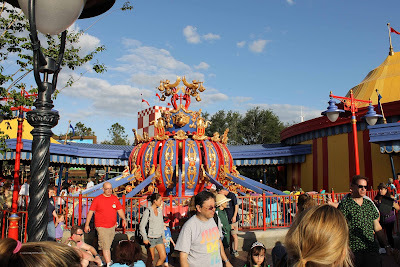 The Barnstormer featuring the Great Goofini is now completed and guests can enjoy this excellent beginner roller coaster that is very well themed. Progress can be seen on the other, as yet to be opened attractions in the new Fantasyland area. 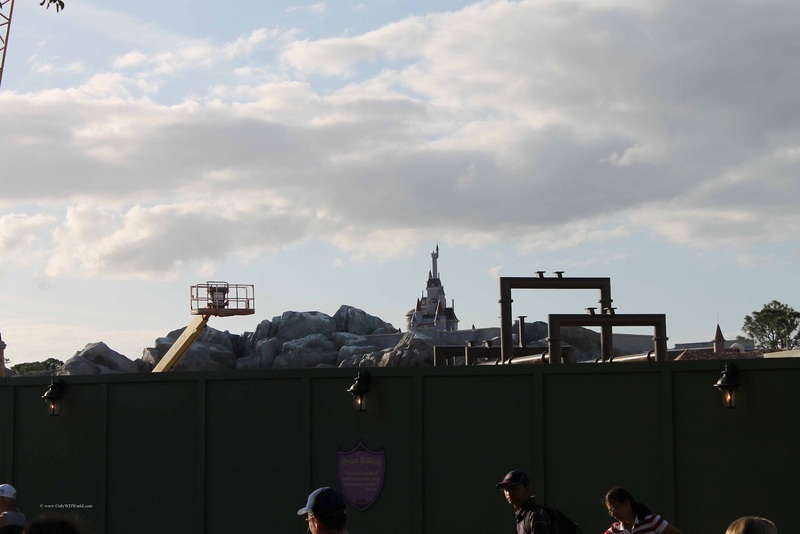 The above picture shows what will become the Journey Of The Little Mermaid attraction. 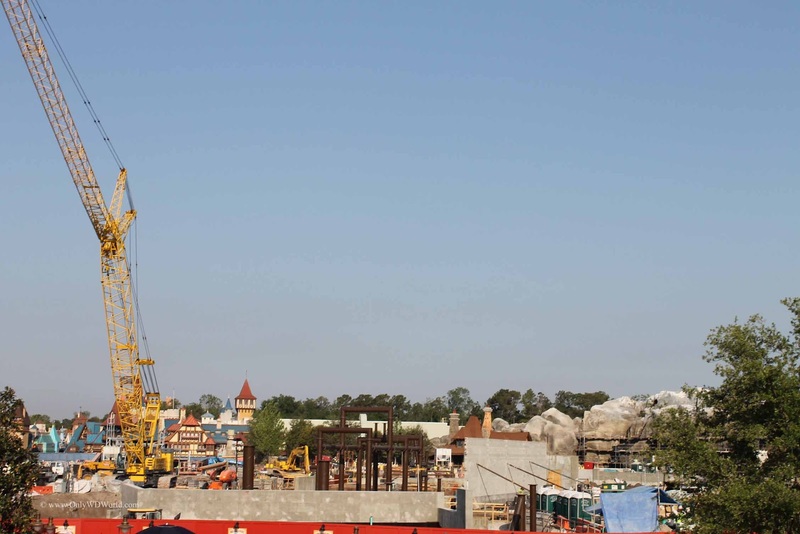 You can compare this to the Disney World Fantasyland Construction Update from October 2011. 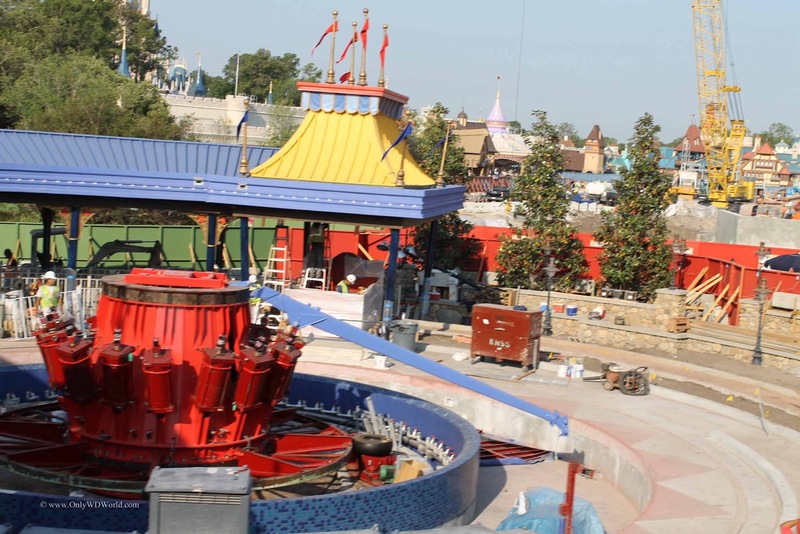 There has been a lot of progress made throughout the area. 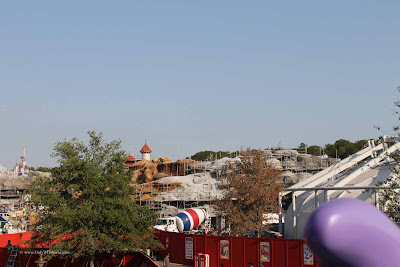 You can now notice the beginnings of the structure that will become the Seven Dwarfs Mine Ride. 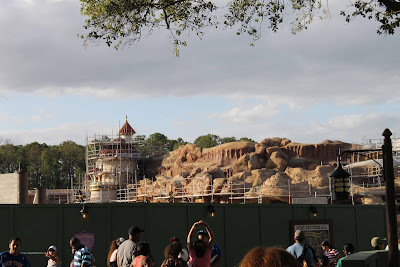 For Disney Dining lovers the new Be Our Guest Restaurant and Gaston's Tavern are much anticipated additions to Fantasyland. The Be Our Guest Restaurant, which will be located within Beast's Castle, will provide another Table Service Dining location within the Magic Kingdom and promises to provide an interactive dining experience with state of the art technology. 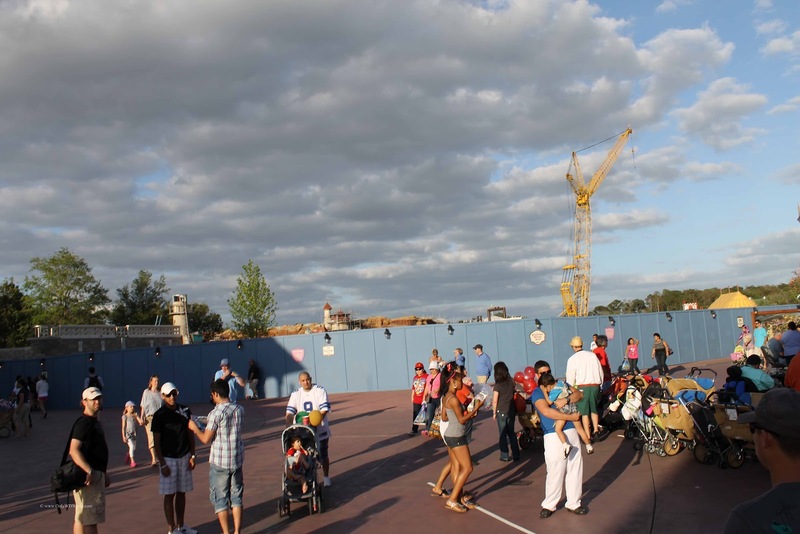 No dates have been given yet as to the opening of the next phase, but it is expected to happen later during 2012. 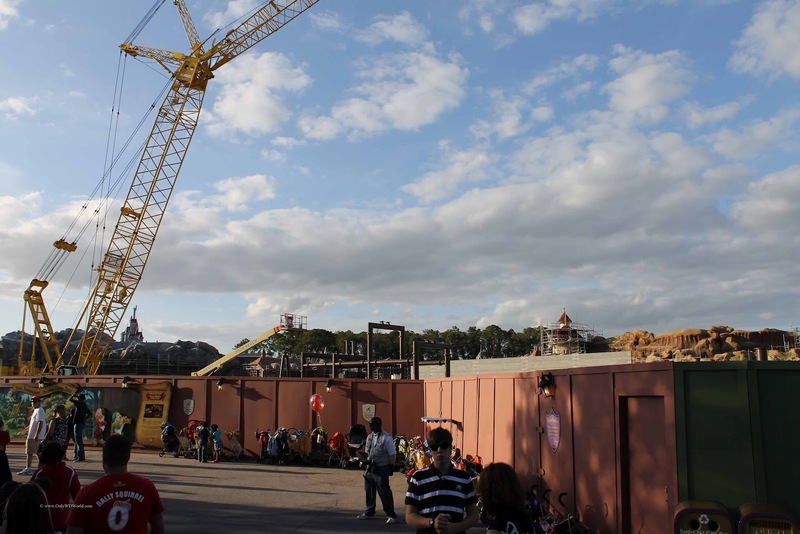 The expansion project will not be completed until 2013. 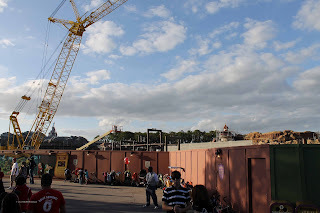 0 comments to "Fantasyland Construction Update At Disney World's Magic Kingdom"